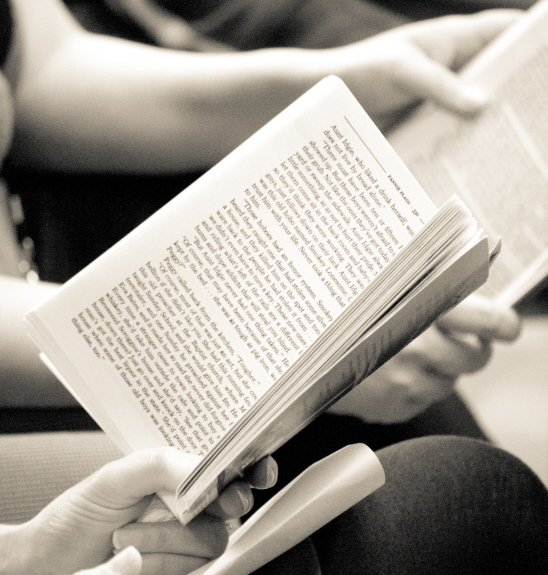 Each week our Shared Reading groups are taking place in libraries across the UK, connecting people of all ages and backgrounds with literature and one another. From groups improving health and wellbeing in West London to groups that help stimulate memories and reconnect older people with those closest to them in Wiltshire and the South West, shared reading in library settings is creating a variety of positive impacts for individuals and within local communities. Are you a facilitator or a member of a Shared Reading group? A small collective of experienced researchers with backgrounds in education and lifelong learning are currently exploring the part that libraries play in supporting reading groups, including shared reading groups, in the community and in promoting reading for pleasure. Their research will document what is currently happening and highlight best practice in this important area of libraries’ work. To help, they want to find out more about why people join Shared Reading groups and why they keep coming. If you have a story about your experience of Shared Reading in libraries, please do get in touch. “A, who attends the group each week, is a keen reader and it’s always a pleasure to share a story with him. Recently we read an extract from Dickens’s Great Expectations that introduces the reader to Miss Havisham and her self-imposed seclusion at Satis House. I asked A what he made of Miss Havisham and why he thought she lived her life in that way. ‘She could be scared’, was his response. I agreed with him and asked why he thought that was the case. ‘Because she’s stuck in the past; she still wears the same clothes and doesn’t want to move on’. The University of Bristol’s Department of English is now recruiting students on their BA (Hons) degree in English Literature and Community Engagement for 2013/14. This part-time undergraduate course, taught one evening a week, allows students the chance to learn more about the diverse uses of reading in life as well as to share what they are learning directly within the wider community. The degree is unique; the first in the country to combine the study of a full range of literature with community projects. Students, from a diverse set of age groups, will be given the opportunity to develop a reading project within their local community, in settings which currently include libraries, pubs and community centres. The focus of the course is on utilising reading in a wide variety of places. As part of Adult Learners Week, Damien Moran, who has completed his third year of the degree, was awarded an Adult Learners Individual Regional Award for South West. Fees are £2,550 per year of the course, an equivalent of £5,100 per full-time year, and are eligible to be waivered. Deadline for applications is Wednesday 7th August 2013. Applications are still open for the part-time Reading in Practice MA run by the Centre for Research into Reading, Information and Linguistic Systems (CRILS) at the University of Liverpool. Exploring the role of literature in health and people’s emotional and imaginative lives, it is the first Masters degree of its kind to be concerned with the deeper ways serious literature ‘finds’ people, offering living models and visions of human troubles and human possibilities. Enrolment commences September 2013: for more information see the CRILS page of the University of Liverpool website and the Courses section of our website. Interested in investigating the role of literature in Bibliotherapy and health? But don’t want to be suffocated by the confinements of a conventional academic course? Then you might be interested in the M.A. degree course: Reading in Practice, run by the Centre for Research into Reading, Information and Linguistic Systems (CRILS) at The University of Liverpool. The first Masters degree of its kind is preoccupied with the wider and deeper ways in which serious creative literature ‘finds’ people, emotionally and imaginatively, by offering living models and visions of human troubles and human possibilities. Accompanied by a reading list which includes brilliant works of all kinds, from novels to essays on philosophy, you will be helped to develop the ability to use all literature as a form of personal time-travel and meditation. You will also learn how, in turn, you may re-create this process for others, through the formation of equivalent reading-groups based on The Reader Organisation’s ‘Get Into Reading’ model. This course is perfect for those who don’t want to have to read loads of secondary criticism but want to use reading to enable them to think their thoughts better and find new ones. A first degree in literature is not required: you just have to be a lively, seriously committed reader! If any of this sounds interesting and you would like to find out a little more about the course details, the application process and who to contact, please read the M.A. document below, in which you will find out more, or visit the CRILS page of the University of Liverpool website. That’s one (wonderful!) way of looking at Quality: on a sunny Saturday in April, The Reader Organisation’s first Shared Reading Practitioner Day was full of them, and one of the most inspiring features of the day was the feeling of movement, of looking in at the same thing from different angles, of being challenged to keep thinking, to dig down into the detail. The day marked The Reader Organisation’s new determination to explore what Quality in Shared Reading Practice means and to go on to produce a humanly useful Quality Framework – a living and lively system which won’t be a corset or suit of armour – constricting on the inside or the outside – but a support and inspiration for continuous growth. The potential impact of shared reading on our public services, of how we live our lives and connect with one another, is enormous. Revolutionary. The significance of this intention begins with us, taking ourselves and our practice seriously; to have this Good Thing we are doing acknowledged as Great. In the opening to the day, as new Quality Practice Manager at The Reader Organisation, I introduced the notion of quality and what it means to us in the practice of shared reading; how the quality of what we are doing in real terms can take time to show its effects, but sometimes can seem to come out of Nowhere, a notion expressed in the poem that opened the day, ‘Spring is like a perhaps hand’ by e.e. cummings. If you were a part of ‘Speaking our own Language’: The Reader Organisation’s first Shared Reading Practitioner Day, you can keep the discussions about quality shared reading going through logging on to the Shared Reading Hub, the resource for shared reading practitioners, at any time. You can also let us know how the Shared Reading Hub can best support you in your shared reading endeavours by completing a brief online survey – all thoughts and responses welcome. The Reader Organisation’s first Shared Reading Practitioner Day, ‘Speaking Our Own Language’ is in just over two weeks time, and we’re delighted to announce a new special guest speaker at the event. Anna Lawrence Pietroni, author of Ruby’s Spoon and patron of The Reader Organisation, will be appearing at Liverpool Hope University’s Creative Campus on Saturday 20th April. 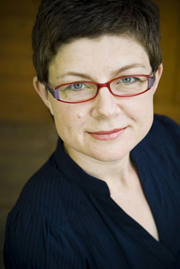 As the day marks The Reader Organisation’s commitment to fostering and developing quality in the field of shared reading, Anna, who has previously worked as a prison governor, will be discussing what she believes makes a ‘quality’ relationship between a writer and their readers. Anna will be joining a bill full of engaging, literary-minded speakers, including Angela Macmillan, Professor Phil Davis and Dr Josie Billington from the Centre of Research into Reading, Information and Linguistic Systems (CRILS) at the University of Liverpool and Brian Nellist MBE. If you’ve completed Read to Lead, why not come along to refresh your literary thinking and doing, tune into the latest developments in shared reading practice, and meet others from around the country at this unique event? 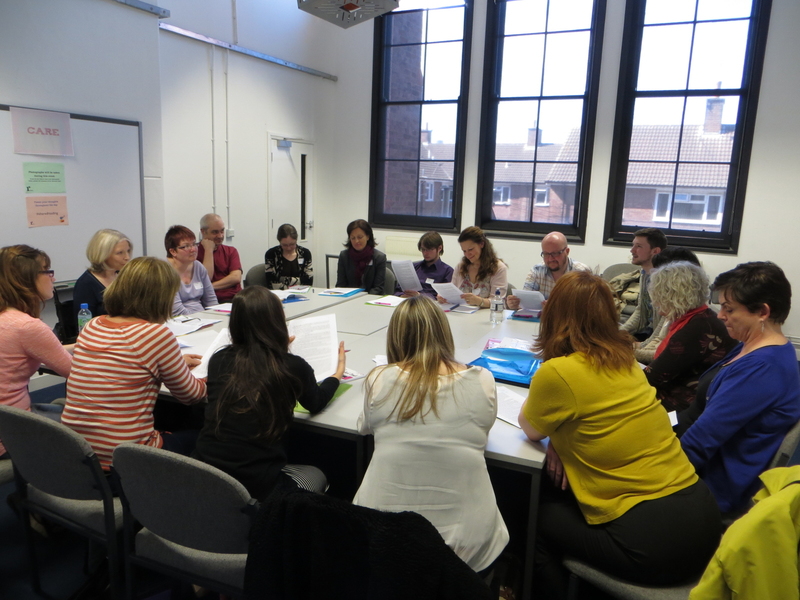 The Reader Organisation is involved in the development of the part-time MA degree in Reading in Practice, working with Professor Philip Davis and Dr Josie Billington in the School of English at the University of Liverpool. Reading in Practice is a two-year, part-time degree, which encourages students to find their own serious relationship to literature. The course also investigates the ways in which a number of significant writers have thought about reading, creativity, health, wholeness and being alive. Reader development is a fast-expanding field – in libraries, in social regeneration and educational projects, and in health provision. 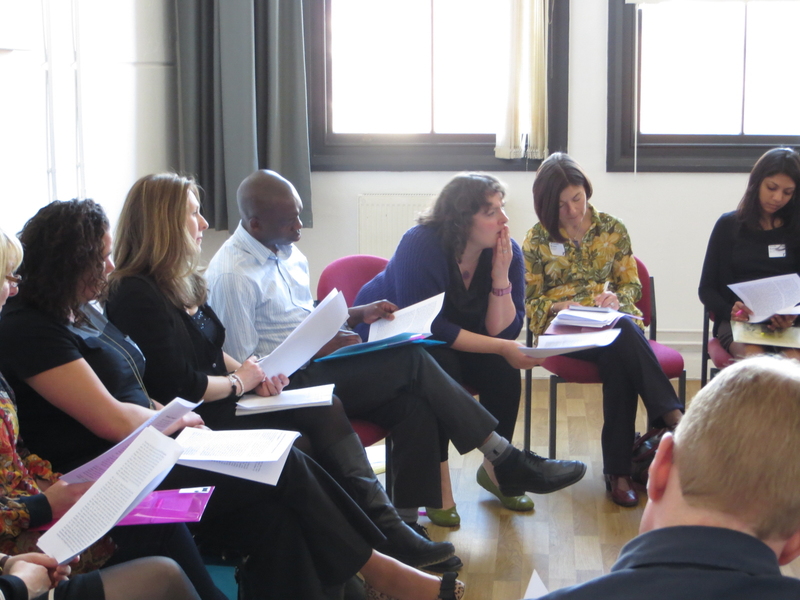 Innovative non-traditional interventions, such as encouraging personal development through shared group reading, are increasingly sought by many agencies: while this MA is not a professional qualification, it will enhance the career prospects of those working, or wishing to work in the fields outlined above, as well as offering opportunities for personal growth and the acquiring of transferable skills. the wide and deep ways in which literature ‘finds’ people – the readers and the writers – emotionally and imaginatively by offering living models and visions of human troubles and human possibilities. ‘Reading in Practice’ is the most challenging and rewarding course of study I have ever undertaken. It has taught me, through practical experience, what literature demands from you as a reader and, in turn, what you as a reader can demand from literature, as nourishment for a thinking, feeling, active life. Being a student on the Reading in Practice MA has been an incredible experience. I started this course after studying English at degree level, and initially felt very daunted by the emphasis that this course placed on your own response to the literature that was being studied – I’d become used to the critic’s opinion or the theory being the information that mattered in an English essay. This is not the case on this course; your own feelings in relation to each text guide your study and thought. At times, this personal journey has felt very challenging, but the serious, deep thinking achieved in relation to some of the finest books ever written is hugely rewarding. The next enrolment will take place in September 2011. Seminars take place on Thursday evenings, 6-8pm. You should normally have an undergraduate degree – though not necessarily in English Literature. We wish to attract a wide range of lively and committed readers from diverse educational backgrounds and will consider candidates on an individual basis. Click here for more information on the MA. I have always felt that reading is a powerful thing, but the course has helped me think about why that is, and given me the opportunity to explore the connections between literature and life. 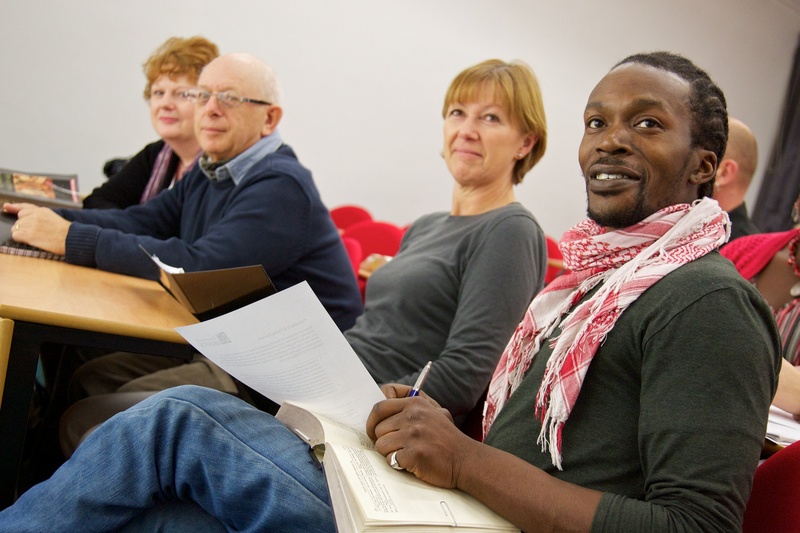 Through the work of Professor Philip Davis and Dr Josie Billington in the School of English at the University of Liverpool, The Reader Organisation is involved in the development of this part-time MA degree in Reading in Practice. The Reading and Practice MA is concerned with the wider and deeper ways in which creative literature ‘finds’ people, emotionally and imaginatively by offering living models and visions of human troubles and human possibilities. The first MA of its kind in the country, it invites open-minded investigation into the role of reading in relation to health – in the broadest sense of that word.